Mountain Buggy’s goal is to, “enable parents to live a life without limit,” and their new Juno Baby Carrier definitely fits the bill. Mountain Buggy’s Juno multifunctional carrier transitions seamlessly from newborns to toddlers up to age four, featuring hands-free, sustainable ergonomics for both you and your little one. Juno was developed in collaboration with medical professionals, parents and children, made with quality materials including 100% chemical free Okeo-tex certified textiles and 100% cotton lining for breathability. And it’s super safe and attractive to boot. Keep reading to see key features of this innovative baby carrier that works for moms and dads. The Juno Baby Carrier is unique in many ways. Below are some key features of this awesome eco-baby carrier that will allow you to take your tot anywhere. Juno comes with the Juno infant insert included, providing you with a true newborn solution including padded head, neck and spine support for complete infant comfort and ergonomic positioning. Juno offers four medically approved carry modes including front face in, front face out, hip carrying and back carrying. Comes with two tailored retractable storage pockets (big enough for the largest smartphones). Sternum strap runners allow for ease of adjustments. 3D mesh padded shoulder straps and waistband, provide cushioned and weight distributing support for a comfortable, breathable carry. Fashion forward and unisex design aesthetics in four colors: sand, black, charcoal and navy. 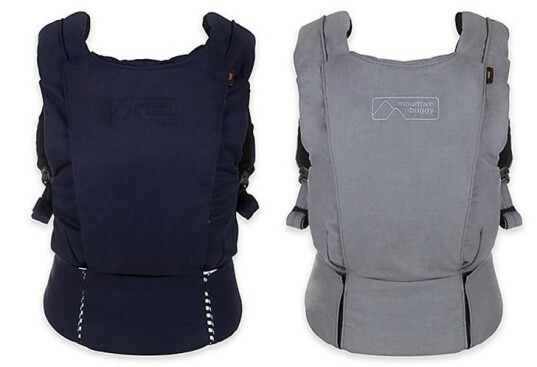 If you’re expecting, and looking for an eco-friendly, comfortable baby carrier to see you through the newborn to toddler years, check out Juno at the Mountain Buggy website. Mountain Buggy's goal is to, "enable parents to live a life without limit," and their new Juno Baby Carrier definitely fits the bill. Mountain Buggy�s Juno multifunctional carrier transitions seamlessly from newborns to toddlers up to age four, featuring�hands-free, sustainable ergonomics for both you and your little one.�Juno was developed in collaboration with medical professionals, parents and children, made with�quality materials including 100% chemical free Okeo-tex certified textiles�and�100% cotton lining for breathability. And it's super safe and attractive to boot. 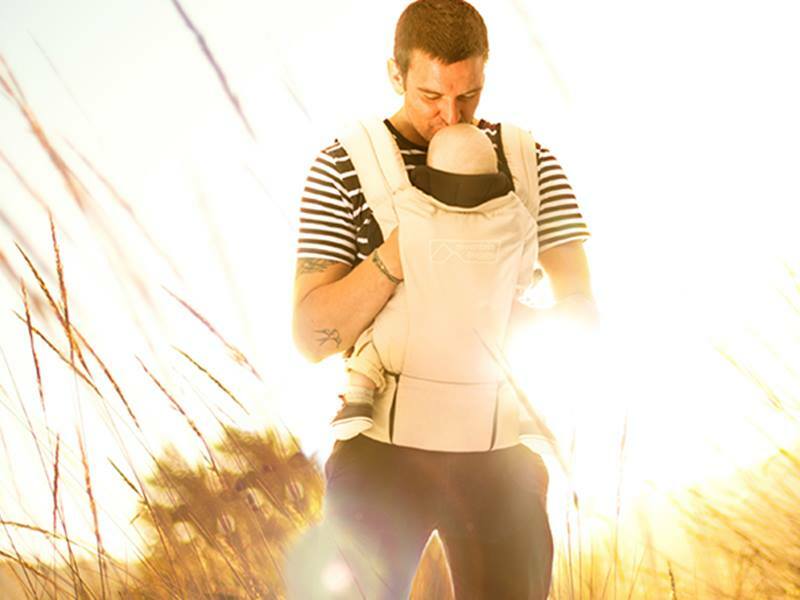 Keep reading to see key features of this innovative baby carrier that works for moms and dads.